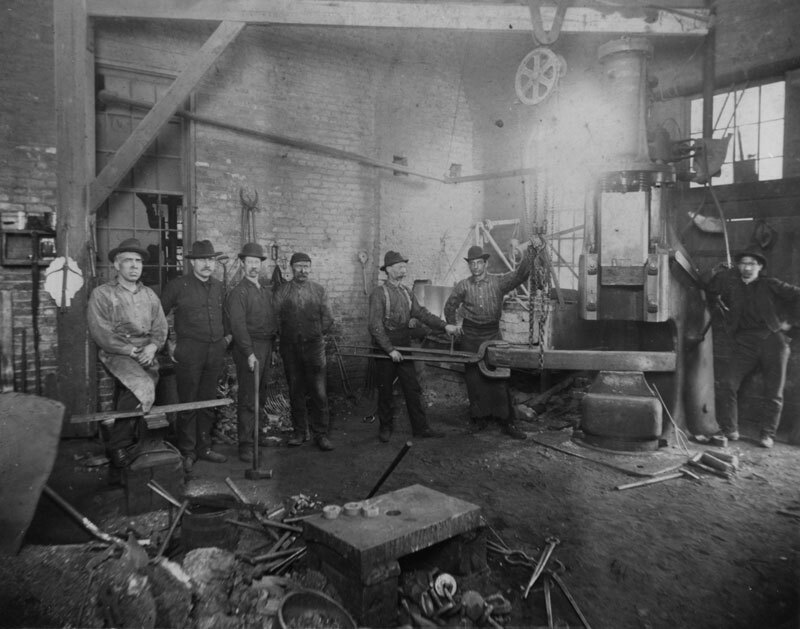 Founded in 1902 by Swedish forge master Carl Anderson, Anderson Shumaker is an open die forging company that parallels the history of American craftsmanship and innovation in the 20th century. Operating out of Chicago, our company has played a vital role in the growth and success of hundreds of industries across North America. With almost 70,000 feet under one roof, Anderson Shumaker’s high quality, custom metal products are produced on a 2500 ton hydraulic forging press, 3 steam driven hammers (6000, 4000, and 3500), and 2 radial ring rollers (300 and 150 ton) with the capabilities from 1 to 20,000 pounds in stainless, nickel-based (high temperature), tool steel, carbon, alloy, aluminum and titanium. We excel in crafting discs, hubs, rings, blocks, bars, and custom shapes, with techniques that ensure better fatigue resistance, improved strength, continuous grain flow, and more. We also offer secondary processing including heat treating, rough machining, saw cutting, hole boring, destructive & non-destructive testing, and finish machining. Now under new management, we are committed to providing the highest quality open-die forgings and rolled rings in the industry. Why Choose Anderson Shumaker For All Your Forging And Ring Rolling Needs? Anderson Shumaker is committed to providing the highest quality open-die forgings and rolled rings in the industry. Request a quote today and get your project rolling! 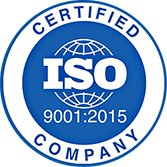 As an ISO 9001-2008 certified company, Anderson Shumaker stands confidently behind all its products. Our dedicated customer service team, talented workforce, and commitment to continuing education in all aspects of manufacturing sets us apart from competition. Since 1902, we’ve proudly supplied the following markets with quality, custom forgings: power generation, oil & gas, pumps, valves, service centers, aerospace, defense, fabrication, machine tool, transportation, food product machinery, gears, and general industry machinery. Click here to download the brochure about our 100-year history. Click here to download our Stock and Capabilities list.